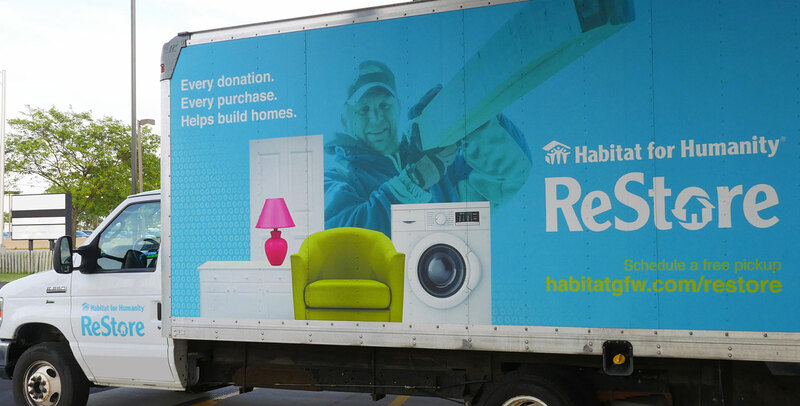 The Habitat ReStore partners with businesses, manufacturers, contractors and more to facilitate donations of materials and items with free pickup. Donating to the Habitat ReStore allows your business to save the hassle and expense of disposing of usable materials; offers you a tax receipt for your donation; allows your business to incorporate more green practices keeping items out of local landfills; and provides quality items and materials for resale at the ReStore that allows Habitat for Humanity to provide more homeownership opportunities for families in our community. For more information contact Mara Kessler at mkessler@habitatgfw.com or by telephone at 260.470.4200.